We are lucky to have twelve outstanding choral experts and composers on our team. 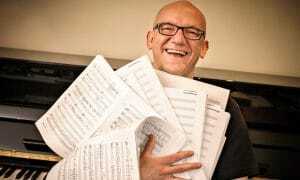 Bob Chilcott, described by the Observer as “a contemporary hero of British Choral Music”, has become one of the most widely performed composers of choral music in the world. He has a large catalogue of works published by Oxford University Press, and these include several large-scale works, sacred and secular pieces for mixed choir, and music for upper-voice choir. Amongst his major works, Salisbury Vespers, written in 2009, was first performed by over 600 singers and players in Salisbury Cathedral. His Requiem of 2010 has now been performed in sixteen countries, and his large-scale cantata, The Angry Planet, was premièred in the 2012 BBC Proms by 550 adult and young singers. In March 2013 his St John Passion was premièred in Wells Cathedral by the Cathedral Choir conducted by Matthew Owens. Of his smaller works, A Little Jazz Mass remains a favourite with choirs around the world as do his cantata, The Making of the Drum, and many of his pieces for children’s choir, including the piece with sign language, Can you hear me?. Between 1997 and 2004 he was conductor of the chorus of the Royal College of Music in London and since 2002 he has been Principal Guest Conductor of The BBC Singers. He has been privileged to conduct many choirs in over 23 countries over the last ten years. May 2013 saw his first recording for Naxos, and the second, a disc of Christmas music, follows later in 2013. His Requiem has been recorded by the Choir of Wells Cathedral, and many other choirs and groups have recorded his music including The Cambridge Singers, The Sixteen, The King’s Singers, The Choir of King’s College, Cambridge, the BBC Singers, The Sirens, Wrocław Philharmonic Choir, and The Choir of Westminster Abbey. David Lawrence is one of the UK’s most versatile conductors, working with orchestras, symphony choruses and national youth choirs. In 2010 he was shortlisted for a Gramophone Award for his conducting, and he currently holds the Guinness World Record for conducting the UK’s largest choir – 6,846 singers! David’s work has taken him to Singapore, Colombia, Canada, the United States, India, throughout Europe, and since 2005 he has worked annually in Australia. 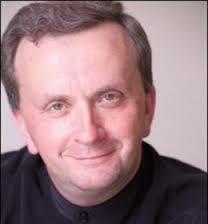 He is a popular guest conductor, and he is an experienced and respected trainer of choral conductors. He teaches regularly alongside Ghislaine Morgan in Portugal, and for the company Artsworks delivers management training and team building through the media of singing and conducting. In 2013 he was appointed to the artistic staff of the London Symphony Orchestra as its Community Choir Director. 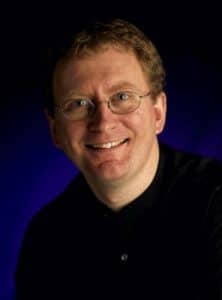 He has also worked with the London Philharmonic Choir, the Hallé Choir, and the CBSO Chorus for whom he is the Associate Conductor, as well as the national youth choirs of Scotland, Northern Ireland and Wales. David has adjudicated at international choral festivals, including the inaugural City of Derry Festival, as well as for the BBC Choir of the Year and Young Musician of the Year competitions. He conducts for BBC Television’s ‘Songs of Praise’ and directed ‘The People’s Chorus’ for BBC Four. As a guest chorusmaster for Netherlands Radio Choir he has worked with Stockhausen, John Adams, Kenneth Montgomery, and Frans Brüggen. David has a particular passion for working with young people, and until recently was the regular conductor of the CBSO’s City of Birmingham Young Voices. In annual visits to Queensland he conducts schools and young people in Townsville at the Spirit of the Voice and Mulkadee singing festivals, runs a summer school for St Patrick’s College in Mackay, and has twice been the guest conductor at Hobart’s Festival of Voices. In the UK he has led singing days for schools including Cranford House, Hereford Cathedral, Surbiton High School, and The Leys in Cambridge, for the ARK Schools, and for music services including Staffordshire and Derbyshire. As Principal Conductor of Young Voices, David directs massed choirs in an annual series of over 20 concerts with some choirs incorporating more than 8,000 singers. He continues to work with Sinfonia Viva as their Choral Advisor, project leader, and conductor, and has also directed large scale education projects with the Orchestra of Welsh National Opera, the English Symphony Orchestra, the Royal Liverpool Philharmonic Orchestra, and the City of Birmingham Symphony Orchestra. In 2015 he revisits Hobart’s Festival of Voices to conduct the SATB festival choir in Haydn’s masterpiece, The Creation and in the UK trains the LSO choirs for Jonathan Dove’s new opera. Stephen Montague (b.10 March, 1943 Syracuse, New York) grew up in Idaho, West Virginia and Florida. He studied piano, conducting and composition at Florida State University (1963-67), received a doctorate in composition from Ohio State University (1972) and won a Fulbright Fellowship to work in Warsaw, Poland (1972-74). 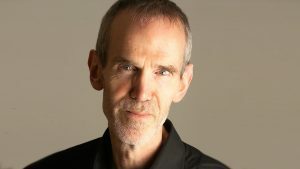 He first came to England as a musician with Strider Dance Co. (Richard Alston & co.), but since 1975 has worked as a freelance composer based in London and touring worldwide. His music has been widely performed, featuring in numerous international festivals, most recently at the BBC Proms (Royal Albert Hall, London), Sounds New (Canterbury), Wiener Musik Tage (Vienna), and Festival of Contemporary Music (Mexico City). Composer Portrait concerts devoted to his music have been given in London, Cambridge, New York, Houston, Mexico City, Vienna and Budapest. Major commissions include the BBC Proms, Portsmouth Cathedral (UK), Calgary Philharmonic (Canada), Hilliard Ensemble, International Computer Music Association, and a 35-minute work for narrator and orchestra for the London Symphony Orchestra (Benjamin Luxon, narrator) for the Barbican Centre, London, (with a further 14 performances by other leading British orchestras around the UK). In addition to writing for traditional orchestral forces Montague has also written numerous more ‘experimental’ works such as his Horn Concerto for klaxon horn soloist and an orchestra of automobiles, and a concerto for piano, 8 motorcycles, brass and percussion. Although a long term UK resident, his compositional influences are often transatlantic. He comments: “I have lived in Britain since 1974 but my musical heroes remain American: I admire Charles Ives’s unapologetic juxtaposition of vernacular music and the avant-garde, Henry Cowell’s irreverent use of fist and arm clusters, the propulsive energy of minimalism and John Cage’s radical dictum that all sound is music“. Stephen Montague was a founder (1980) of Sonic Arts Network, Concert Director (1983-87) and Chair; Chair and Artistic Director of the SPNM (Society for the Promotion of New Music) 1993-98; Associate Composer with The Orchestra of St Johns, London (1995-97); Featured Composer: City of Oxford (1997-98); Artistic Director of Contemporary Music Making for All (2004-05); and the New Music Associate at Kettle’s Yard Gallery and Museum, Cambridge (2010-12), where he curates a monthly concert series. Internationally Montague has been a Guest Professor at the University of Texas – Austin in 1992, 1995, 2000 and the University of Auckland, New Zealand,1997. Since 2007 he has taught part time at Trinity Laban Conservatoire of Music and Dance (London). Montague’s honours and awards include 1st Prize at the 1994 Bourges International Electroacoustic Music Competition (France), the Ernst von Dohnányi Citation for Excellence in Composition (1995), The Ohio State University Distinguished Alumnus Award (2000), Honorary Fellow (Hon FTCL, 2002), then Composer in Residence (2003) at Trinity College of Music, (London), and Honorary Fellow of Leeds College of Music (FLeedsCM, 2004). In 2006 his CD Southern Lament – (NMC D118) – featuring his piano works (played by Philip Mead), won the “Best New Piano Music Recording” award from International Piano magazine. As a “virtuoso pianist” [New York Times] he has recorded for all the major European radio networks, performed at Carnegie Hall, New York City, London’s Queen Elizabeth Hall and Paris’s Centre Pompidou. In 1985 he formed a duo with pianist Philip Mead, Montague/Mead Piano Plus, which toured internationally. He also collaborated with the late sculptor, Maurice Agis, for over 20 years providing multi-channel electroacoustic sound environments for Agis’s giant inflatable sculptures Colourspace andDreamspace. In his capacity as both a concert organiser and performer Montague has commissioned numerous works by leading composers which include Sir John Tavener, Michael Nyman, Frederic Rzewski and John Paul Jones (Led Zeppelin). Stephen Montague is currently working on an orchestral commission for the Birmingham Royal Ballet (David Bintley, choreographer) to be premiered in 2015, and a work for narrator and chamber ensemble for the 2014 New Music Biennale. Compact discs of Montague’s works are available on NMC (UK), ASV (UK), Signum (UK), Continuum (NZ), Centaur (USA), Point Records (USA) and others. In addition to music he is an active cyclist, hiker and tennis player (the former Florida Junior College Tennis Champion). “The lady is superb, whether she turns her artistry to opera, jazz or Sondheim”. A statement that sums up her remarkable talents as one of the world’s leading operatic actresses and dramatic musical performers. 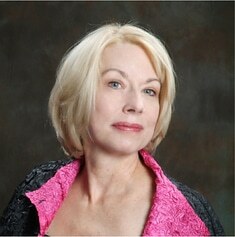 Sally Burgess is vocal Professor at the Royal College of Music, London. She was awarded her FRCM in 2011 and has been a member of the vocal faculty for 12 years. She is a visiting professor at the Guildhall School of Music and Drama and has headed their Introduction to Opera ( year 3 ) Studies since 2010. Sally works with singers worldwide leading the Young Singers Programme for Les Azuriales Opera Festival, Nice for four seasons and returning annually to Moscow in collaboration with London Gates Education. In January 2013 she lead the inaugural Amazwi Omzansi Africa Performing Arts International Festival in Durban, South Africa. She works with singers at the Royal Opera House on the Jette Parker Young Artists Programme, at Glyndebourne on the Jerwood Young Artists Programme, for Co-Opera Company, Associated Studios Opera Courses, and with British Youth Opera. Sally has a close relationship with Live Music Now, fronting their vocal and instrumental master class series in the aLuMNi programme. She adjudicates and examines for all UK conservatoires and is a member of the British Voice Association for whom she leads workshops and master classes. Following Sally’s directorial debut for Tete a Tete Opera in the summer of 2009 in Mark Glentworth’s new opera Ula she directed Cosi van Tutte for English Chamber Opera, the world premiere of Sonya’s Story, and new productions of Il Trovatore for Dorset Opera, and Cosi fan Tutte for the Dubrovnik Summer Festival. She directed Magic Flute in 2011, Poppea in 2012, Albert Herring in 2013 and Mariiage of Figaro in 2014 for the Guildhall School of Music and Drama Undergraduate program. In June 2013 she directed Over the Rainbow, music by Harold Arlen, for jazz singer Rosanna Brandi and the Neal Thornton at St. James’ Theatre, London. During her long and distinguished career, Sally has made some of the most exciting operatic roles her own, the Sunday Times describing her as “The greatest exponent of Carmen I have ever seen”. Her operatic successes include performances at most of the major opera houses of the world including The Metropolitan Opera, Bayerisches Staatsoper, Munich, Opera National de Bastille, Paris, Opera de Geneve, Switzerland, Royal Opera House, Covent Garden, English National Opera, and Houston Grand Opera. On the concert platform she has collaborated with many esteemed conductors including Sir Mark Elder, Sir Charles Mackerras, Richard Hickox, Vassili Petrenko, Riccardo Chailli, and Daniel Barenboim. Her discography includes her acclaimed portrayals of Judith Duke Bluebeard’s Castle and HerodiasSalome for Chandos, Paul McCartney’s Liverpool Oratorio, and three jazz albums (Sally Burgess Sings Jazz, The Other Me, and Happy Talk). 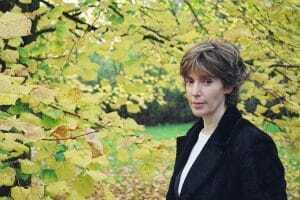 Cecilia McDowall, (born in London in 1951), has been described by the International Record Review as having ‘a communicative gift that is very rare in modern music’. Often inspired by extra-musical influences, her writing combines a rhythmic vitality with expressive lyricism ‘which is, at times, intensely moving’. She has won many awards and has been short-listed seven times for the British Composer Awards. In 2014 she won the British Composer Award for choral music. Her music has been commissioned and performed by leading choirs, including the BBC Singers, ensembles and at major festivals both in Britain and abroad and has been broadcast on BBC Radio and worldwide. Much of her music is on disc; Dutton Epoch have released four CDs performed by the City of Canterbury Chamber Choir, Orchestra Nova, conductor, George Vass, and the Joyful Company of Singers, conductor Peter Broadbent. Three Antiphons have been recorded by the International Celebrity Trumpet Ensemble consisting of players from the Berlin Philharmonic and Vienna Philharmonic on the Brass Classics label. The renowned American choir, Phoenix Chorale, have recorded Three Latin Motets on the Chandos label (Spotless Rose: Hymns to the Virgin Mary).This CD won a Grammy award in February, 2009, and was nominated for Best Classical Album. Commissions for 2014-2015 include a short chamber opera, Airborne, marking the centenary of the First World War and works for the BBC Singers and Westminster Cathedral amongst others. In March, 2015 Dulwich College will give the premiere of Some corner of a foreign field at King’s College, Cambridge with the tenor soloist, Andrew Kennedy. 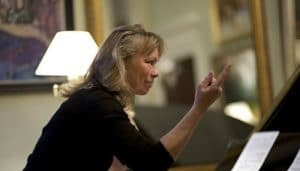 Oxford University Press have signed Cecilia McDowall as an ‘Oxford’ composer and she is currently ‘composer-in-residence’ at Dulwich College, London. In 2013 she received an Honorary Doctorate in Music from the University of Portsmouth. Her work for choir and cello, Night Flight, won the 2014 BCA choral award. 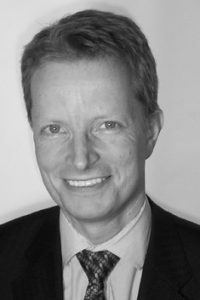 Howard Skempton was born in Chester in 1947, and has worked as a composer, accordionist, and music publisher. He studied in London with Cornelius Cardew from 1967 and Cardew helped him to discover a musical language of great simplicity. Since then he has continued to write undeflected by compositional trends, producing a corpus of more than 300 works – many pieces being miniatures for solo piano or accordion. Skempton calls these pieces “the central nervous system” of his work. In May 2005 Skempton’s Tendrils for string quartet was awarded the prize for ‘best chamber-scale composition’ by the Royal Philharmonic Society, and in December 2005 it won in the chamber music category at the annual British Composer Awards. Skempton won a second British Composer Award in 2008 for The Moon is Flashing, a song cycle for tenor and orchestra commissioned by the BBC which was premièred by BBC NOW and James Gilchrist at the Vale of Glamorgan Festival in September 2007 and broadcast on BBC Radio 3. Many of Skempton’s compositions have been recorded, including the hugely successful Lento for orchestra on the NMC label by the BBC Symphony Orchestra, the piano works performed by John Tilbury on the Sony Classical label, and Shiftwork by Ensemble Bash, also on Sony Classical. 2001 saw the release of Guild of The Flight of Song, an acclaimed choral collection performed by the choir of Queens’ College Cambridge under James Weeks. Vocal group Exaudi released a disc of Skempton’s choral music in September 2007, also on the NMC label. The recording, entitled Ben Somewhen, also featured chamber works performed by the Birmingham Contemporary Music Group. The Cloths of Heaven, a recording of Skempton’s choral music by the Exon Singers, was released on Delphian Records in June 2008, and in 2011 Mode Records released Bolt from the Blue a disc featuring Skempton’s piano and choral works. Works have been commissioned and performed by leading artists including the BBC, Kathryn Tickell, New Noise, Birmingham Contemporary Music Group, and the Royal Liverpool Philharmonic Orchestra’s ‘Ensemble 10/10’. A work for the Birmingham Contemporary Music Group, Only the Sound Remains, for viola and ensemble, was premièred in February 2010 in a Skempton portrait concert. Other recent commissions include a choral work, Song’s Eternity for the 2010 Aldeburgh Festival, and Skempton is taking part in the New Music 20*12 Cultural Olympiad project – He will be writing a piece for eight church bells for the Central Council of Church Bell Ringers which will be performed to mark the opening of Spitalfields Festival at Christ Church, London, in June 2012. Recent commissions include two from the Birmingham Contemporary Music Group — a work for oboe and string trio, Field Notes, and a setting of Coleridge’s The Rime of the Ancient Mariner for baritone (Roderick Williams) and ensemble — and a Piano Concerto for John Tilbury commissioned by the BBC for a premiere at the Huddersfield Contemporary Music Festival in 2015. We are delighted that singer Jacqui Dankworth ‘The most flexible and expressive voice of her generation’ (The Observer, Jazz CD Of The Week) has agreed to be Patron of the Addison Singers Jazz Choir and Jazz Ensemble. ‘I come from a singing family – my grandmother ran a choir, my mother and uncle are both singers. I have always had an interest in choirs as my first experience in singing was with the Hertfordshire Youth Choir. It was an invaluable experience for me; it’s what got me started! It is wonderful to know the Addison Singers are keeping alive the tradition of singing together in harmony, putting out great spirit and joy into the ether. Their commitment and devotion to the music are bound to inspire others who would love to sing and find their voice. Jacqui was impressed by the professionalism, commitment and quality of the Jazz Choir and Jazz Ensemble’s music-making and we are thrilled that she has agreed to become our Patron. Jacqui Dankworth is a remarkable artist of the highest calibre. With her beautiful, subtly powerful voice and assured technique, Jacqui defines a category of her own. She performs unique and exciting arrangements of jazz, original and contemporary songs, complemented by a band of wonderful musicians. She has toured with the Brodsky Quartet and recorded with them, alongside such guests as Sting, Elvis Costello, Bjork, Ian Shaw and Sir Paul McCartney. She featured on Courtney Pine’s album Devotion and sang with him at the Royal Festival Hall as part of the London Jazz Festival. Several tunes from her album As The Sun Shines Down On Me made the Jazz FM play list, and she receives repeated play on BBC Radio 2, especially on Michael Parkinson?s Sunday Supplement. A nominee for the BBCJazz Vocalist of the Year Award 2006, Jacqui was awarded an Honorary Doctorate in Music by the University of East Anglia in October 2006. DAVID WORDSWORTH studied at Leeds University, the City University (London) and the Guildhall School of Music & Drama. After a period of teaching he held senior positions at two major music publishers, Schott and OUP, developing close working relationships with a wide range of composers including Tippett, Henze, Ligeti, Penderecki , Dutilleux and more recently at OUP, working closely with John Rutter, Bob Chilcott, Gerald Barry, Michael Berkeley, Gabriel Jackson and Cecilia McDowall. David became Music Director of the Addison Singers in 1995 and under his direction the choirs have expanded their regular London concert series, sung at major venues in Edinburgh, Paris, Barcelona, Krakow, Milan and have sung on tour in Cornwall, France, Ireland and at the Carnegie Hall (New York) under the baton of Bob Chilcott. In February 2011 David played a major role in the Percy Grainger Celebration held at King’s Place (London), both conducting the main choral concert and leading an afternoon wok-shop that attracted a capacity audience. New music is a regular feature of David’s concerts – he has conducted the first performances of works written especially for him and the Addison Singers by Gavin Bryars, Cecilia McDowall, Gabriel Jackson, Bob Chilcott, David Matthews, Edwin Roxburgh, Kenneth Hesketh, Howard Skempton and William Bolcom amongst many others. In January 2012 David lead almost 150 singers in a highly successful singing day focusing on Howard Goodall’s work ‘Eternal Light’ given in the presence of the composer and this was followed in March 2013 by a Singing Day featuring the music of Morten Lauridsen, accompanied by the composer himself at the piano. In addition to work with the Addison Singers David Wordsworth was Musical Director of Horsley Choral Society in Surrey (2005-8), has conducted/adjudicated in Hungary, Norway, Mexico and Cuba and in 2007 visited the Philippines, conducting the Philippine Philharmonic in a concert of British music and teaching at the UST Conservatoire in Manila. He has appeared at festivals in many parts of the UK and spent the last three months of 2011 in the US, holding residencies at universities in New York, Michigan, North Carolina and Rhode Island, lecturing on aspects of British music and working with student choirs and conductors. In June 2012 David was Artistic Director of ‘John Ireland in Chelsea’ a major festival celebrating the music of the noted English composer and which featured David as both conductor and pianist, alongside major champions of British music such as the cellist Julian Lloyd Webber, baritone Roderick Williams and pianist Mark Bebbington. In February 2013 he was one of four conductors to lead the American composer Stephen Montague’s 70th birthday concert at St John’s Smith Square (London) and in November 2013 appeared with the Addison Singers and Voskresenije (St Petersburg) in music by Russian and English composers. In 2014 David conducted three performances at the Brandenburg Spring Choral Festival in London – another ‘Come & Sing’ with Howard Goodall , a concert of French music at St Martin-in-the-Fields and English and American music at St Clement Danes (London). In April/May he conducted a concert to celebrate the life Sir John Tavener, a major performance with the Addison Singers, the Vigila Singers and the Gavin Bryars Ensemble at the London Festival of Contemporary Church Music, made a trip to Poland to take part in a choral music conference at the Frederick Chopin University and towards the end of the year a conducted performance of the Verdi Requiem. David is Artistic Director of ‘Singing Shakespeare’, a major project supported by the Shakespeare Birthplace Trust and running through the next three years, focusing on choirs the world over singing new and existing settings of Shakespeare texts. David conducted choirs from Stratford-upon-Avon in the launch concert at Holy Trinity, Stratford-upon-Avon in April 2014 in a programme that included Vaughan Williams iconic ‘Serenade to Music’, as well as a newly commissioned work from Gary Carpenter and a new arrangement of Stephen Sondheim’s song ‘Fear no More’ that David has undertook with the permission of the composer. David lead a session on ‘Singing Shakespeare’ at the Association of British Choral Conductors convention in Cardiff in August 2014 and will conduct performances and workshops at a number of major choral festivals during 2015/16. David’s most recent written publications include articles on American music, the music of Gavin Bryars, tributes to his friend Sir Richard Rodney Bennett and a two part survey of Polish Choral Music for ‘Choir & Organ’. His new arrangement for chorus, organ and strings of John Ireland’s anthem ‘Greater Love Hath No Man’ was premiered at the Ireland Festival in June 2012 and later published by Stainer & Bell and he has been ommissioned to compile and edit no fewer than three choral anthologies which will all will be published in the summer of 2015 – a collection of Christmas pieces by contemporary composers to be published by Cadenza Music, a contribution to the ‘Concerts for Choirs’ series published by Boosey & Hawkes, focusing on opera choruses by Benjamin Britten and a Shakespeare choral anthology to be published by Chester/Novello. Plans for this season and beyond include a performance of the Mozart Requiem in Vienna; performances/workshops at the Mayo Choral Festival (Ireland), the Royal Naval College (Greenwich) and the Ealing Autumn Festival; and in 2016, a revival of Sir Lennox Berkeley’s ‘Stabat Mater’ that will include performances at several major UK music festivals and a recording (with the Marian Consort and the Berkeley Ensemble). Looking further ahead he will curate two mini-festivals at King’s Place, London, focusing on the work of Anthony Burgess and Howard Skempton. David Wordsworth has served as a Trustee for a number of musical foundations and at present is Music Advisor to both the John Ireland Trust and the International Anthony Burgess Foundation. MATTHEW HOUGH pursues a career as an accompanist and soloist, piano teacher, singing coach and choral conductor. He studied the piano privately under Professor Robin Stone and took his performance diploma prior to studying Classics at Cambridge. For the Addison Singers, Matthew works as director of the Jazz Ensemble and Deputy Musical Director, accompanist (Oratorio and Jazz choirs), tutor and vocal coach. His other appointments include accompanist at the City Literary Institute and Director of the Saint Martin Singers, an a capella group based at St Martin-in-the-Fields, Trafalgar Square. Matthew also performs as soloist, recital accompanist and master class accompanist, and each year plays for a variety of courses. These include work with cellists (Alexander Baillie and William Bruce), Suzuki string players, vocal teachers (Jessica Cash, Paul Farrington, Ghislaine Morgan and Ashley Stafford) and Covent Garden principals (Chris Maltman and Quentin Hayes). 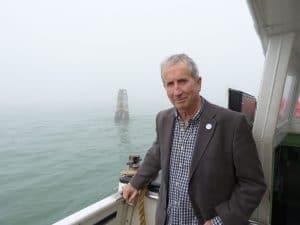 He formerly directed Opera Live, including productions at the Covent Garden Open Air Festival and gave recitals as concert pianist on board the QE2. JILL JARMAN is a contemporary classical composer and jazz pianist. Her compositions reflect these genres, effortlessly merging the boundaries between both, and include orchestral music, ensemble works, children’s songs and big band and ensemble jazz. Recent compositions include; Soundwaves of light (2006), an orchestral tapestry based on the light frequencies of the stars in the sky, an ensemble piece Shadows (2008), based on the interplay of shadows and H2O (2010), an orchestral piece imitating the molecular behavior of water. Jill conducts and orchestrates much music for recording sessions including work with the Royal Philharmonic orchestra for events such as the Commonwealth Games, BAFTA premiered film The Troop, and a short Ballet Rise for BMG. The recipient of two Arts Council awards, Jill founded an experimental string quartet with graduates from Trinity College (album OPUS 42), and toured extensively with her critically acclaimed jazz quartet, STORM WARNING (album ‘Spirit Level’, Zinc records). As current composer-in-residence at the Judd School in Kent, Jill enjoys a creative relationship with young musicians and has written a book of children’s songs published by Music Discovery Network in America. Jill’s belief in music education continues with the creation and development of a series of workshops for choirs, and ongoing research into music-listening and music-making for young children and adults alike. She gained a PhD by Composition at the University of Surrey in 2010. Jill took over directorship of the Jazz Choir in September 2004, since when the choir has grown in popularity and numbers have flourished. Much of the repertoire is arranged by Jill giving the Addison Jazz Choir and Ensemble a unique voice. Compositions written specially for the Addison singers are The Listening Tree (premiered 2006), and Voices of Change(premiered 2008), which was featured on Radio 4 in January 2010. The piece has also been recorded and is available through the Addison Singers. ALICE HYDE was born and educated in Texas, USA where she received a Masters degree in Music. She studied singing in Italy and at the National Opera Studio in the UK, on a bursary from the Friends of Covent Garden. Alice divides her time between performing and teaching. She has taught singing at the major stage schools in London, prestigious universities in the USA as well as various Summer schools. She teaches vocal techniques suitable for various styles of singing including classical, opera, musical theatre and jazz. Her singing career has been varied and she has performed opera around the world and has sung for the late Diana, Princess of Wales. Performance highlights include The Countess in Marriage of Figaro at the palace of Versailles for the 200th anniversary of the French Revolution. Alice has worked at the Royal Opera House and has worked as a session singer for many film recordings including Lord of the Rings and Star Wars. She also had the opportunity to record some compositions by and with Dave Brubeck and his Quartet at Abby Road. Alice teaches privately in London and has produced a range of singing warm-up CDs for the male and female voice, as well for children. Further information can be found on Alice’s website. ANGELA SLEEMAN Angela teaches our new Musicianship For Singers course (formerly the daytime choral course) which is held on a Thursday afternoon and the Learn to Read Music course for beginners, which is on a Wednesday evening. 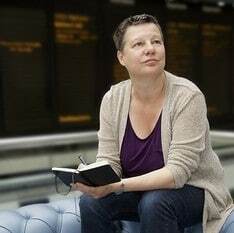 Her credentials include those of Assistant Chorus-master at the Royal Opera House in 1991 and eleven years as Choirmaster in opera houses in Germany. She is currently semi-retired and is active as a music teacher.